On Jan. 22th to 23rd, ECOPLUS organized the Snow Village Workshop called Snow Shoveling and Preserved Food in a Snow Country at Tochikubo Village, Minami-uonuma City, Niigata. Ten participants mainly from Kanto region enjoyed snow shoveling with the locals and learned the food preservation methods and cooking. Tochikubo sees snow more than 4 meters high in winter. The participants, most of them had little experience with deep snow, helped local people remove snow around houses and learned about winter food preservation methods, passed down over generations. 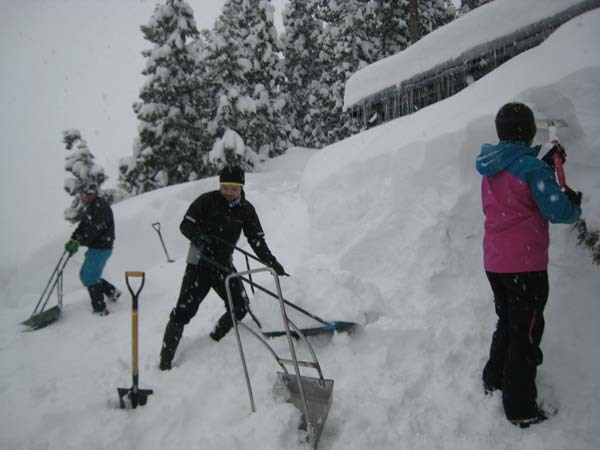 &#12288;With the guidance from the locals, the participants learned how to use shovels and snow-dumps (A tool like a big square shovel which can take large amount of snow) and helped remove snow around houses of elderly residents. Although they struggled to use the tools at first, they seemed to be enjoying snow shoveling. A participant with the first snow shoveling experience said I was surprised to discover that snow is really heavy. Cooking lunch with the local women. 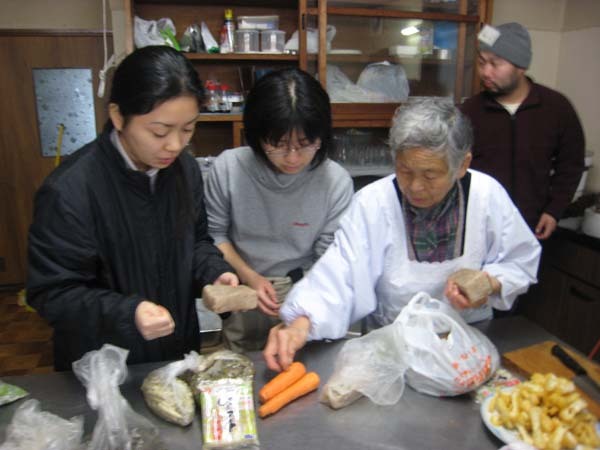 &#12288;On the second day, the participants visited Mrs Kuwabara, who is the 80-year-old instructor of the day, and studied the way she stored vegetables and pickles for winter. Then divided into few groups, everyone cooked lunch taught by the local women, using preserved foods. The participants commented in their feedback as follows.